For those looking for affordable nanny services for the elderly, Value Care goes above and beyond by matching our clients with fully qualified professional caregivers. If you are looking for someone to care for your loved one, we encourage you to speak with us to see how we can help. The caregivers we refer offer flexible schedules to suit the needs of our clients. Whether a client needs care around the clock or someone to help around the home a few times a week, we will match them with the caregiver who will best fit his or her schedule. Professional caregivers that Value Care refers provide a variety of much needed services that are similar to senior nannies, homemaker assistants, companions, and more. With Value Care, every caregiver is extensively screened through a legally required state process, in addition to our own more extensive testing method, which tests experience, references, written and verbal communication abilities and transfer techniques. We go beyond basic legal requirements to make sure caregivers are qualified to our higher standards in credentials, technical skills, and personality. 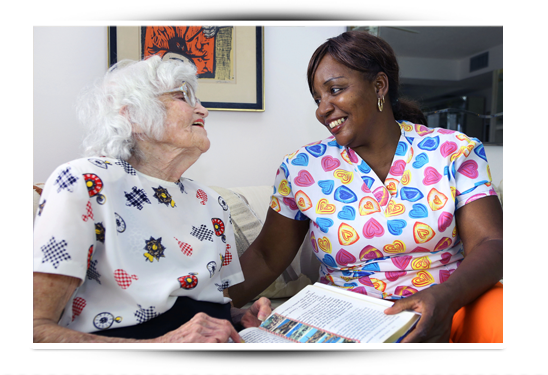 Value Care is built on matching qualified caregivers with people in need of in home health care regardless of their particular needs or schedule. Because of our size and experience, we are better able to refer experienced caregivers to clients who are faced with progressive diseases and conditions. We thoroughly screen all caregivers who register with us using our FIVE STAR PROMISE to ensure they are legally competent and certified and that they have ample experience and a mastery of the skills required for home care.